With the United States’ prison population now exceeding 2 million incarcerated inmates and government mandates to build new correctional facilities, there is demand nationwide for correctional officers. The U.S. Bureau of Labor Statistics predicts a 5% growth rate in this career category over the next several years, and long term growth to remain steady into the foreseeable future. Prisons and jails are operated at the federal, state, and local level, which means there are an abundance of opportunities for those entering the field of Corrections. Many facilities are now operated by private corporations under governmental contract, which provides an additional avenue for employment. Geographically there are correctional officer jobs in every state, and in almost every county in the United States. If you are interested in a career as a correctional officer, there are several things you should know. Continue reading this step-by-step guide for details about how to become a correctional officer. 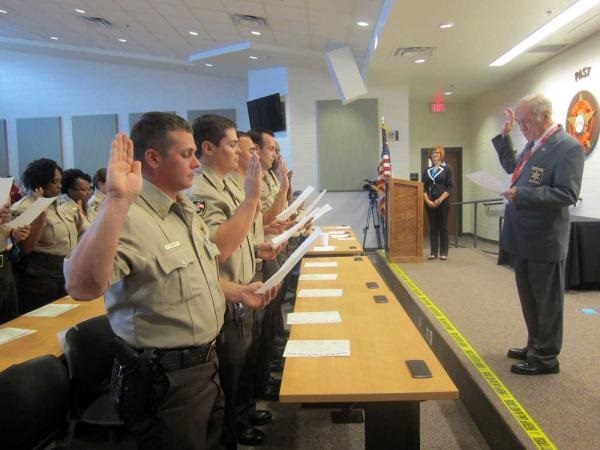 The requirements to become a correctional officer can vary dramatically. Prisons and jails are operated by the federal, state and local governments, which means that each branch of government has different hiring standards and practices. In addition, each state generally has its own requirements. Have a bachelor’s degree or three years of experience in teaching, counseling, management, emergency response or sales. Have no disqualifying criminal convictions. Have a good financial history. Be between the ages of 20 and 37. Be at least 18, and in some states 21. Have either a high school diploma or a GED. The majority of states require you have a valid driver’s license. Be physically and mentally capable of doing the job. If you've decided to become a correctional officer, and know which state you wish to work in, it is important that you research the exact requirements of your state to make sure that you meet the minimum eligibility standards. The best way to do this is visit the web site for the department of corrections for the state in which you wish to work. If you are still unclear as to what the minimum requirements are, you should take the time now to call the human relations department of the department of corrections to avoid disappointment later. While many local municipalities and some states only require a high school diploma or a GED, it is no secret that these tend to be lower paying jobs often with poor working conditions. A job candidate with at a degree or at least a partial college education will be in a better position to find higher paying employment. He or she will also find it easier to advance to leadership positions. Ideally a correctional officer candidate should have completed his or her bachelor’s degree in criminal justice, criminology, psychology, sociology, counseling or another field of behavioral sciences. In addition, there are graduate level programs in social work, clinical psychology and human services that can be the key to advanced correctional officer positions. Most states will accept prior military service as a substitute for the post-secondary education requirement. Under most state policies, veterans are given preference in the examination process because they have an advanced skill set in comparison to other candidates without relevant experience. Most retired military personnel have already received combat based training, are in good physical condition, and are used to working under stressful conditions. Some states also offer veterans a higher starting pay, seniority, and bonuses. Candidates with prior law enforcement experience will also typically receive preference in when applying for correctional positions. The basic training for a law enforcement officer will often satisfy a majority of the training requirements for a correctional officer. 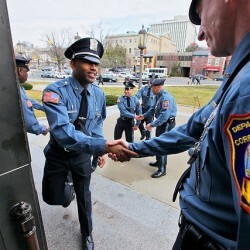 Law enforcement officers who transition to a career as a correctional officer often enjoy greater starting salaries, seniority, and a greater chance of advancing quickly. The primary responsibility of a correctional officer is to directly supervise inmates and to maintain order in correctional facilities. Maintaining proper security often requires the use of physical restraint or restraining devices which means that all correctional officers must be in good physical shape and be able to respond to a variety of physically challenging circumstances. An officer is often called upon to make quick decisions and to follow procedure in stressful situations, meaning that all officers must demonstrate mental acuity and possess knowledge of laws and facility regulations. 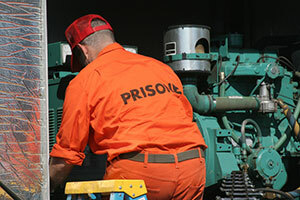 When applying for a position in Corrections, applicants are tested on their physical stamina, and their ability to complete the physical tasks required of them in a correctional environment. Other components of the application process often include a written test, psychological exam, medical screening, background check, and interview. If selected for hire, candidates may also be subjected to a 12 month probationary period during their first year of training and employment, to ensure that they are capable of handling the rigors of the job. Before applying, make sure you check with your state department of corrections for application policies and procedures. Why is this important? It is important because all candidates must take each component of the selection process seriously. Failing any portion of the application process may lead to the candidate being disqualified for the job. Most successful candidates spend a considerable amount of time training for the physical aspects of the process, practicing for the interview, and studying for the written exam. 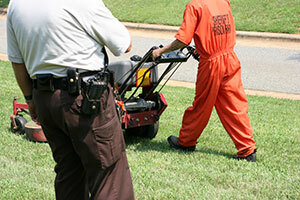 It is recommended that anyone seeking employment within the field of Corrections spend the time to fully understand what will be expected of them when they apply. In order to become a correctional officer, most states require that the candidate complete a training course. In some states this must be done prior to employment being offered. In other states, it is done post-employment, but successful completion is a condition of continued employment. In most states, this involves intensive training typically modeled after the training for other law enforcement officers such as police recruits. The duration of the programs vary from state to state. In some states the program may be only a few weeks. In other states it may last several months. Many states conduct the training at the state law enforcement academy, and the recruits are required to live at the academy for the duration of the training. In most states, there are two components to the training program: practical skills training and class room based training. Correctional officers also are trained in the use of a variety of firearms, and must demonstrate proficiency in order to graduate. Almost all states require requalification on an annual basis. Most correctional officers who work in close proximity with inmates do not carry weapons; however, they must still be proficient in case of an emergency or if they are assigned to guard the perimeter of the institution. Typically, this training includes the use of pistols, rifles and shotguns. Almost all states have adopted in-service probationary training for new hires. Depending on the state, this may be for a few months or up to two years. During this time the new correctional officer typically works under close supervision with senior correctional officers often in a minimum-security population. The classroom based training is designed to make sure that all recruits have a basic knowledge of rehabilitative methods and the law. Even candidates with college educations don’t always have a background in these areas. Given the fact that the correctional officer is the staff member in the institution who will have the most interaction with the inmates, these skills are crucial. 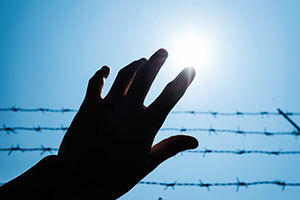 Federal and state governments have implemented mandates which target lowering recidivism rates through the implementation of treatment and rehabilitative programs within prisons and jails. These programs are designed to remedy substance abuse, mental health issues, and lack of education or vocational skills. Correctional officers are expected to obtain a basic understanding of these programs in order to identify worthwhile candidates for programs within their institution.